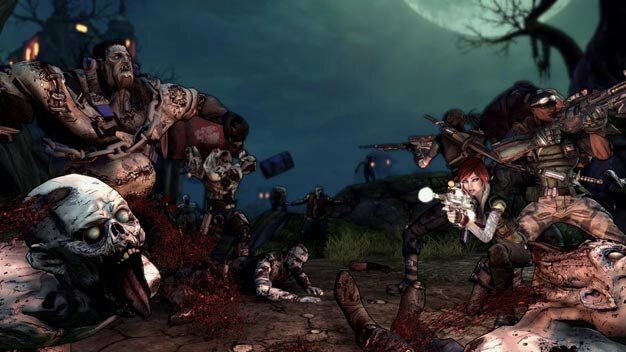 How long is Borderlands’ Zombie Island DLC? As for the content the DLC brings, Gearbox’s goal isn’t adding to the 87 bazillion guns. Instead, the focus is on “the new region and the new plotline and that sorta thing,” Helquist says. And new bad guys — “There’s only one, maybe two monsters in the DLC that are basically the same [as the regular game]” — which can be seen in action right here. The DLC will arrive on both the PS3 and 360 next Tuesday, on November 24. PC users will get it a bit later.